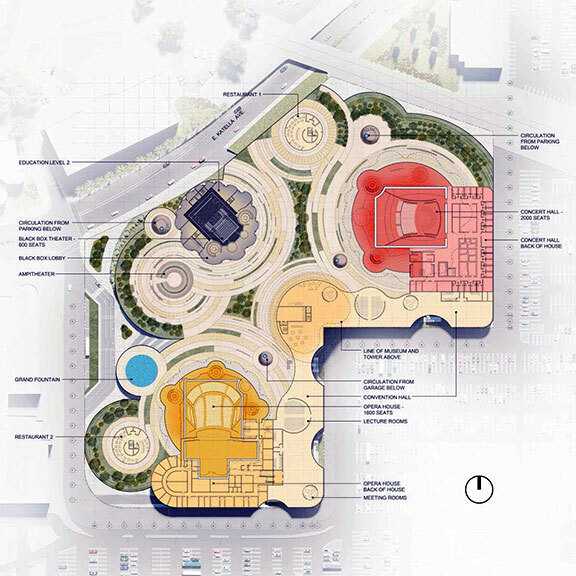 The Anaheim Performing Arts Center Foundation's (APACF) mission is to establish and maintain a state of the art performing arts center in the city of Anaheim. The Anaheim Performing Arts Center Foundation is a non-profit 501 (c)(3) organization. Tax ID #26-3818765. APACF seeks to elevate the influence and value of the arts to an integral part of Anaheim’s local community. In addition to bringing an incredible performing arts center to Anaheim, APACF is a platform for embracing and developing our local culture and creative practices. As a supporter of the Anaheim Performing Arts Center Foundation, you will help bring the magic of the arts to life for visitors, children, and the communities in and around Orange County. "The idea is that you will come to Anaheim to see a show... there will be things here that no one else can do, and at a level that no one else does it."